Plusalus is the social network of a scientific group (BioAcyl Corp) dedicated to apply proprietary medical knowledge accumulated for over a decade and which has formulated an advanced system of oral care reuniting proprietary experience with knowledge published in the scientific literature during the last 35 years. An innovative delivery system into gums and teeth, the mouth and pharynx of the agents identified in the research that can balance bacterial populations and dissolve biofilm is fundamental towards the efficacy of the system. The vehicle which is fully edible serve towards that effect. The finished product can be used to treat problems or for daily care that can span for a lifetime. . The new method has finally turned away from the failed and over-hyped intent of killing bacteria enduring for over a century. So through the extent of the present text you will not meet at any moment such foolish claim. On one aspect this new approach is oriented towards modifying the morbid traits of Streptococcus mutans sobrinus seeking the scope of modifying the ability that this bacteria has to form dental plaque and prevent its adherence to it. From plaque this bacteria produces the acid that will dissolve enamel (acidogenic bacteria).. The other aspect tends to restore the correct microenvironment that promotes healthy normal physiological conditions in the mouth. The latter will not only diminish cavities drastically, but also it makes possible to normalize the sub-gingival plaque (present under the gums) and prevent the formation of biofilm there where multiple strains of anaerobic and microaerophilic bacteria cooperate to attack the gums undermining their tissue; especially the ligament that holds the tooth to the bone causing gum disease. Biofilms are shields (like a camping tent) that colonies of bacteria secrete in order to isolate themselves form antiseptics and antibiotics. Such bacteria become insensible to any attacks thrown onto them with the purpose of annihilating them. Scientists at BioAcyl Corp stress that it has been disregarded for almost 4 decades the fact that attack to healthy tissue is only possible if the bacteria in plaque are able to modify the microenvironment to one that will favor them. Contrariwise such bacteria could not survive in a physiological microenvironment and are unable to populate the subgingival area. So that something has to change te physiological state for the attack to take place. If bacteria have successfully changed the healthy microenvironment and colonized the area, direct anti-biofilm action by the agents discovered at BioAcyl Corp plus restoring the physiological conditions of the microenvironment are the most effective ways for dealing with guns and teeth problems. The physiological system devised at BioAcyl Corp is a fresh and real option in dealing with simple or as well serious problems of the oral cavity. Other agents helping in such scope have been know for quite sometime. These are the so called alditols or sugar derived alcohols. Contrary to popular belief the great majority of sugars do not produce caries. To be able to produce caries a sugar must be recognized by the acidogenic bacteria and internalized in the microbe and turned into acid. Sugars most commonly have 4 to 6 carbons, some may contain 9. The useful ones that are not fully identified by bacteria are Eritritol, Xylitol and sorbitol and respectively in order of 4, 5 and 6 carbons. The most similar to common sugar is sorbitol differing only in how OH radicals are disposed stereochemically; yet it is quite less cariogenic than common sugar. Eritritol and Xylitol are powerfully anticariogenic. But very interestingly, when provided in place of sugar they trick the bacteria to produce defective glycoproteins used by the community of bacteria to arm the biofilm. So that formation of the shield is incomplete weak and in the end unsuccessful. No longer can bacteria guard themselves to survive as a modified community under a membrane. Xylitol has been known now for its anti-cavity effect for 35 years has been tested for its anti-biofilm effect. Eritritol is more recently also known for such actions. It is commonplace for combinations of the alditols to be used in practice Kauko K. Mäkinen 2010 . Among other effects alditols stabilize calcium phosphate from saliva. Xylitol in particular can form complexes with calcium displacing water molecules from the solvation sphere of action of the hydroxyl groups of the alfditol and keeping the cation (Ca ++ ) soluble in the plaque and saliva. Two or more hidroxyls of the alditol can displace 2 molecules of water from the solvation sphere of the cation Mäkinen, Söderling 1984 Angyal 1972 . It is also possible to facilitate calcium absorption, independent of the vitamin D effect. in the intestine by ingesting Xylitol Hikorazu et al. 2011. Some studies have demonstrated remineralization of deep caries (dentinal caries) using Xylitol K K Mäkinen 1995. Other effects (specific and non-specific) of Xylitol tend to restore the physiological environment of saliva on its own account rich in calcium phosphate, mucins and proteins J Chirife 1984 that help restore the salivary film SAM Vacca and Smith 2000 and remineralization of teeth. The most important is the affinity that Xylitol has for water and the humectant and protecting power on tissues. Finally its sweetness is equal to the one of sugar and it will stimulate salivation, that by itself helps to remineralize. BioAcyl agents act on the normalization of the microenvironment keeping a physiological pH, balanced redox state and energy supply. Taken together a system has been perfected that consists of Periactil Precondition and Periactil. The first component is used with a brush and the second is applied on teeth and gums by distributing it with the tongue.. Mouthrinse is banned since it can annul the protection conferred by Periactil gel which is mucoadherent. Periactil is edible and Periactil Precondtion is totally harmless if swallowed. The remaining Periactil in the mouth can be swallowed to protect the throat. The system is able to deliver superior results by means of normalizing microenvironments and balancing the microbiota that normally populates the oral cavity. Such results are decidedly NOT obtained by trying to kill bacteria. Although the role of oral microbiota in disease is well studied, specific contributions to host health are not well defined. The entero-salivary nitrate-nitrite-nitric oxide pathway, which can positively affect nitric oxide (NO) homeostasis, represents a potential symbiotic relationship between oral bacteria and their human hosts. The entero-salivary nitrate-nitrite-NO pathway. Twenty-five percent of the ingested dietary nitrate is recycled to the saliva, and 20% of the nitrate in saliva is converted to nitrite by oral commensal bacteria. Approximately 5% of the originally ingested nitrate is swallowed into the stomach, and provides for NO activities in various forms. (1) NO for local vasodilation, mucus formation, and antimicrobial activity; (2)N-nitrosoamines for local carcinogenesis; (3) Nitrite for nitrite pool and transnitrosylation in the peripheral tissues; (4) S-nitrosothiols for transnitrosylation in the peripheral tissues. The gaseous free radical NO, which is endogenously produced in vascular endothelial cells, neurons and immune cells, plays a critical role in various physiological processes, including vascular homeostasis, neurotransmission, and host defense mechanisms, respectively. It appears that we have at least two systems for affecting NO production/homeostasis. The first is through the classical L-arginine-NO pathway. This is a complex and complicated five-electron oxidation of L-arginine and if any of the co-factors become limiting, then NO production from NOS shuts down, and in many cases, NOS produces superoxide instead Tomasz J. Guzik et al. 2002. The enzymatic production of NO during normoxic physiological conditions proceeds very efficiently. 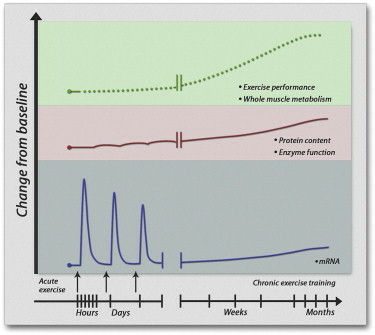 However, in disease characterized by oxidative stress essential NOS cofactors become oxidized, NOS uncoupling, or conditions of hypoxia where oxygen is limiting, this process can no longer maintain NO production Ulrich Förstermann, Thomas Münzel 2006. Therefore, it can be argues saliently that there must be an alternate route for NO production. It is highly unlikely that nature devised such a sophisticated mechanism of NO production as a sole source of a critical signalling molecule. This alternate route involves the provision of recycling nitrate and nitrite and their respective reductions down to NO. The two-electron reduction of nitrate to nitrite occurs during anaerobic respiration through symbiosis with obligate and/or facultative anaerobic commensal bacteria that reside in the crypts of the posterior third of the tongue Jon O. Lundberg et al. 2004. This process mammalian cells are unable to perform, Nitrite reduction to NO can occur in a much simpler mechanism than that of nitrate. The 1-electron reduction of nitrite can occur by ferrous heme proteins (or any redox active metal) through the following reaction: NO2− + Fe(II) + H+ ↔ NO + Fe(III) + OH−. Therefore the entero-salivary nitrate-nitrite-NO pathway is a NOS-independent, and oxygen-independent pathway to NO formation that is a vital alternative to produce bioactive NO, particularly during periods of hypoxia. Continuous availability of NO is essential for cardiovascular system integrity. In the circulation, NO is an important regulator of vascular tone and blood pressure, and inhibits oxidative stress, platelet aggregation, and leukocyte adhesion. NO insufficiency is strongly correlated with cardiovascular risk factors, is causal for endothelial dysfunction, and serves as a profound predictive factor for future atherosclerotic disease progression and cardiovascular events. Dietary nitrate, obtained primarily from green leafy vegetables and beets, is rapidly absorbed from the upper gastrointestinal tract into the bloodstream, where it mixes with the nitrate formed from the oxidation of endogenous NO produced from mammalian NOS. Up to 25% of this nitrate is actively taken up by the salivary glands and concentrated up to 20-fold, reaching concentrations approaching 10 mM in the saliva. Because the plasma levels of nitrite are highly dependent on the amount of salivary nitrate and its reduction to nitrite, the use of an antibacterial mouthwash Mirco Govoni et al. 2008 and frequent spitting of saliva consequently decrease the plasma levels of nitrite. Using a single ingestion of 500 ml beetroot juice [22.5 mmol (∼0.35 mmol kg−1), Webb et al. demonstrated a more acute and more profound fall in both systolic BP (∼10.4 mmHg, baseline of ∼108 mmHg) and diastolic BP (∼8 mmHg) compared with placebo (500 ml water, crossover study) Andrew J Webb 2008. Importantly, the beetroot juice did not contain any detectable nitrite, and whilst plasma nitrate levels were already increasing by 30 min, the BP did not start to fall until the plasma nitrite concentration started to rise, with maximum changes in both occurring at ∼2.5–3 h, reflecting the time to produce nitrite from nitrate and for it to accumulate via the enterosalivary circulation (described above). Indeed interruption of this process by asking volunteers to spit out all their saliva for 3 h immediately following beetroot juice ingestion completely blocked the rise in plasma nitrite and the reduction BP. This increase in plasma nitrite is also inhibited by the use of an antibacterial mouthwash just prior to nitrate ingestion in humans Mirco Govoni et al. 2008. Many of the biological effects seen with nitrate and nitrite are associated with formation of NO and NO-related substances. However, it is presently evident that nitrite itself mediates biological effects. Additionally a variety of different nitrogen oxides can be formed in the acidic gastric milieu and elsewhere which can mediate NO-like signalling. Thiol groups (-SH) in cysteine residues of proteins might undergo S-nitrosation by nitrite, generating S-nitrosothiols which can act as NO donors Stamler, Jonathan S. et al. 2001 or generate post-translational modifications that can alter protein function . Other responses might be mediated by the generation of electrophilic nitro-fatty acids (NO2-FA). Nitration of unsaturated fatty acids can be induced by nitrite-derived nitrogen oxides (NOx), especially the nitrogen dioxide radical (·NO2), formed in high amounts during gastric acidification of nitrite . The electrophilic properties of nitrated fatty acids can mediate anti-inflammatory signalling through activation of nucleophilic proteins such as the peroxisome proliferator activated receptor-γ (PPAR-γ) and suppress inflammatory NF-kB signalling. Although endogenous formation of nitro-fatty acids occurs, the levels found in plasma are in a low range, and some authors have questioned if they play a role in normal physiology H Rubbo 2013. The extensive literature on NO3-NO2-NO largely leaves the oral microbiota subject matter untouched. The so called “responders” and “non-responders” might be due to precisely the degree of appropriate oral care that each individual practices. Emerging evidence from the gastro-intestinal tract, genito-urinary tract and respiratory indicates that there are several health benefits to hosting a complex and diverse microbial community.